Kim Deep (CFO) is a successful entrepreneur and Certified Management Accountant (CMA). She has over 30 years experience in the accounting industry and has also been involved in professional and personal workshop development and delivery since 2005. 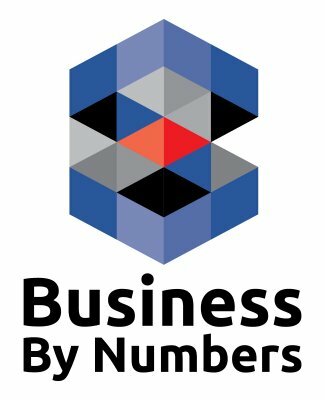 She founded Business By Numbers Ltd ("BBN") in December 2007 from her passion to help business owners and individuals learn about money and how it can work for them, and get what they want in life. Through developing a financial system which can be applied to all industries, Kim grew her accounting services business into a global operation and today her 10+ team members serve clients through offices in Edmonton, AB, Germany and Mexico. Kim is a published author and has written a children’s book, “Conductor Kash and the Prosperity Express“, that teaches money management: a skill that can be useful for all ages. Kim has participated in over 40 guest interviews on radio shows and TV spots, educating viewers in the psychology and behaviors around their relationship with money. She’s been featured on the cover of the CPA Canada Magazine, been a keynote speaker for CPA Alberta’s annual professional conference (formerly CMA), appointed a Financial Literacy Edmonton Area leader for Alberta with the CPA Canada Community Connects program, “Financial Decisions Matter”, to help with the delivery of Financial Literacy education to the community. She also facilitates her own financial workshops: helping take the fear out of money and demonstrating that anyone can learn to live within their means through The Family Wealth Academy. This concept coincides with the philosophy for BBN’s clients. An avid learner and volunteer, Kim currently supports delivery of leadership programs with Kaizen Consulting and co-facilitates a powerful self-development workshop called The Mastery of Self Expression. 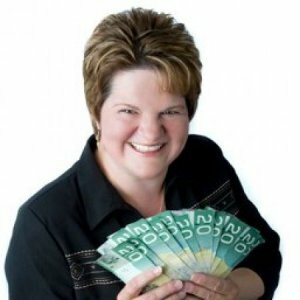 She trains financial literacy facilitators with the Alberta Asset Building Collaborative and is currently the Treasurer of the Canadian Authors Association, Alberta Branch. Kim is finalizing the launch of the F.I.S.H. Foundation (Financial Independence Serving Humanity) to support people in jumping into “thriving vs surviving mode” so they can give back to their communities. Kim currently resides in Edmonton where she lives with her three children. Kim had a featured spot on the call-in radio segment “Deep Pockets with Kim Deep” for 7 months, in addition to participating in over 40 guest interviews on radio shows and TV spots, educating viewers in the psychology and behaviors around their relationship with money. Kim has been featured on the cover of the CPA Canada Magazine (formerly CMA). Kim has been a keynote speaker for CPA Alberta’s annual professional conference (formerly CMA). Kim facilitates her own financial workshops: helping take the fear out of money and demonstrating that anyone can learn to live within their means through The Family Wealth Academy. This concept coincides with the philosophy for Business by Numbers’ clients. An avid learner and volunteer, Kim currently supports delivery of leadership programs with Kaizen Consulting. Kim co-facilitates a powerful self-development workshop called The Mastery of Self Expression. Kim trains financial literacy facilitators with the Alberta Asset Building Collaborative. Kim is currently the Treasurer of the Canadian Authors Association, Alberta Branch. Born and raised in Spruce Grove, Kim attended the Northern Alberta Institute of Technology and completed a two year business administration program and then continued on to become a Certified Management Accountant (CMA). She worked with the school board for several years before wanting to move more into public service and share her passion with others.